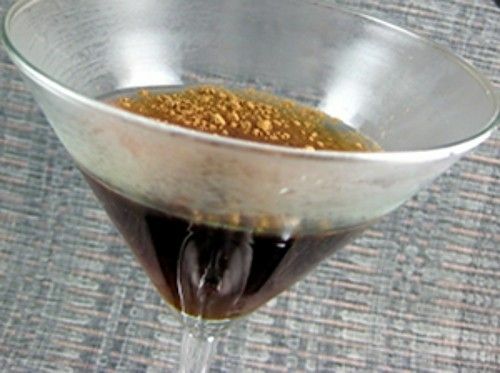 The Black and White Martini is so named because the traditional garnish is black and white licorice candies. I prefer to leave that garnish off, because I think it misleads you to think the drink might have a licorice flavor, and it doesn’t. This drink is mainly vanilla with distinct notes of chocolate. It’s wonderful when you’re in the mood for a sweet treat. Fill a cocktail shaker with ice. Pour in both ingredients and shake until chilled. Strain the mixture into a chilled martini glass. Garnish with a little ground vanilla bean or cocoa powder.